Motor Die Casting toolings are ready. The design of the torque arm is completed. Before going ahead, please note that the 25% off promotion is about to end: only 20 kits available yet ( here: online shop ) . After that the price will switch to the full price. After some assembling testing we saw that the riveting of the lamination wasn't good enough. For that reason, our supplier modified the riveting fixture to improve the strength of the bond. That's now completed. Our custom controller is based on an already existing controller. We wanted to go this way to exploit its current reliability. On top of that we plan to run a 1000-hour endurance test on it to double check reliability and performance over time. After that we received the final version of the custom controller we had to re-design it's aluminum case: some dimensions were changed from the intial project and that required minor modifications. In this box both the motor controller and Smartbox are fitted into. 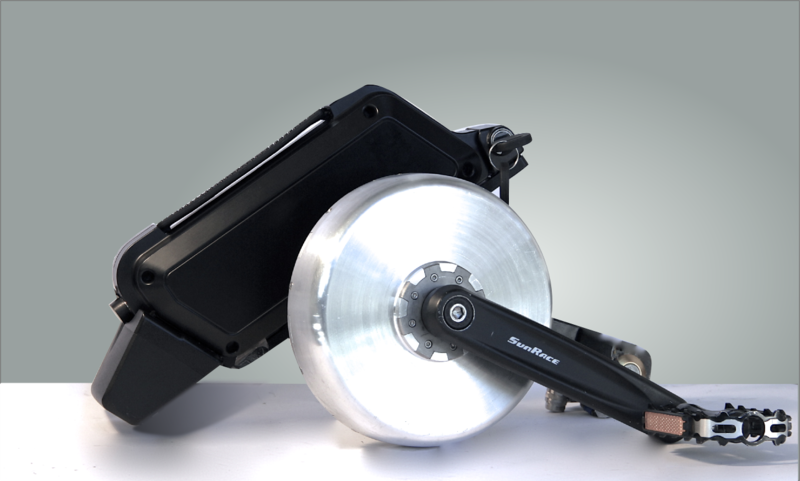 We prefer to keep the controller outside the motor unit because high-performance motors generate electromagnetic noise and heat, and you want to keep electronics away from that. We managed to fit everything in a very compact box: it fits inside the motor outline shape, except for a little angle on the front, as you can see in the first picture above. Most important, the box won't affect the ground clearance. In the above pics, we highlighted the box with orange color, but the production will have satin aluminum finish. 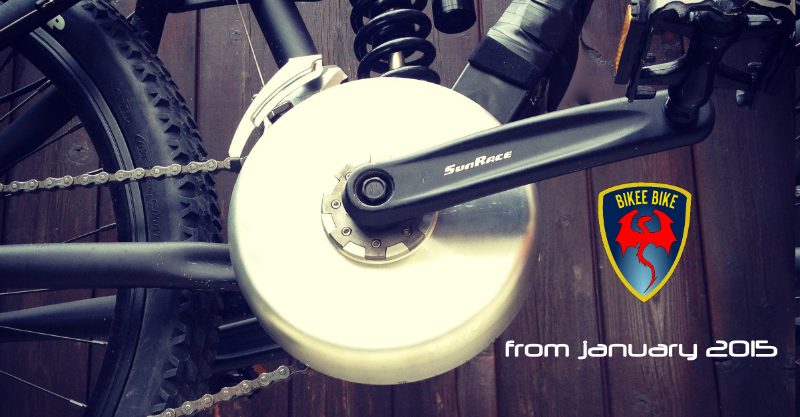 The torque arm is the part which anchors the motor to the frame and gives a reaction point to the motor so that it won't spin inside the bottom bracket. This part is critical in many ways: from one side it has to be resistent and, on the other side, it needs to be adaptable to any bike. Its design comes as a consequence of the control box design, that's why we completed that only now. The good news is that in the meanwhile we tested the design against more and more bike model, perfecting the mating interface. This design is now completed and we're ready to go ahead with the aluminum die casting tooling opening for the box. This process usually takes 30 to 45 days and that's what's currently slacking the product shipment. As a corrective action we are looking to get the first batch done with sand casting instead of die casting. That would cut the wait time in half. The challenge of sand casting is that the thickness of the part is too small: we'll verify that next week. If everything goes smooth, we'll be able to ship in the second half of March. The app is now working, we need just to fix some minor bugs ( for example the power reading which is not correct in the video). That will take approx two weeks. The look and feel is very positive. The raw footage below shows the main screens and displayed values. I did that with the smartphone during the project review, so please bear with me for the quality. In the next update you'll see the full explanation of all operating modes and features. We plan to release the next update between Feb, the 15th and the 25th. Matteo, Luca and Bikee Bike team. 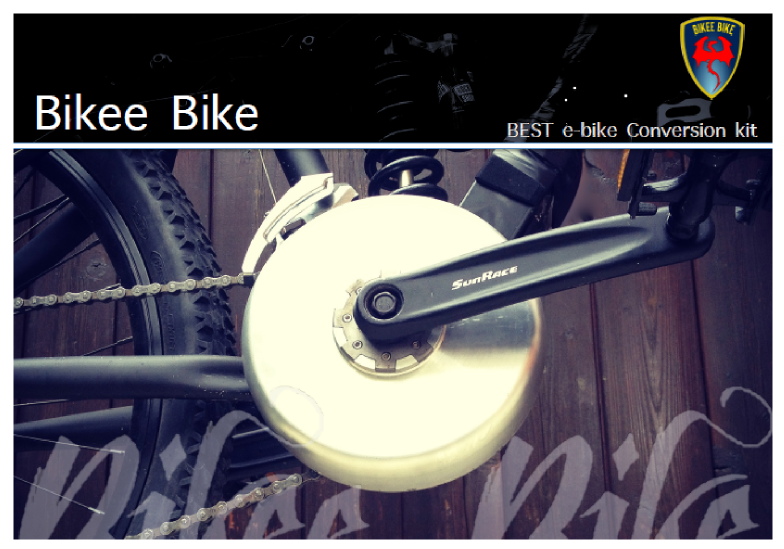 Bikee Bike Newsletter 3. What a wonderful start. Wow, what a wonderful start! 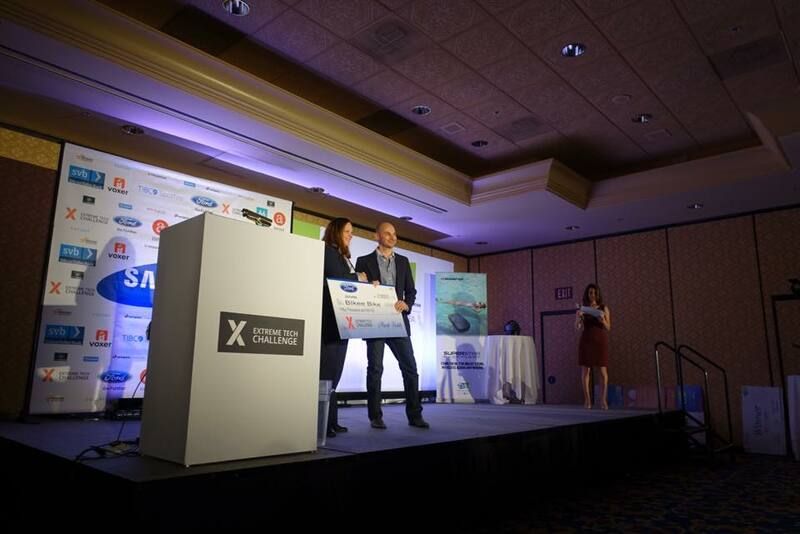 This year couldn't have started better: we applied for the Extreme Tech Challenge contest and we've been selected among over 2,000 startups for the FORD technology special prize. Sir Richard Branson is the final judge of the competition, hosting on his private island all the finalists. 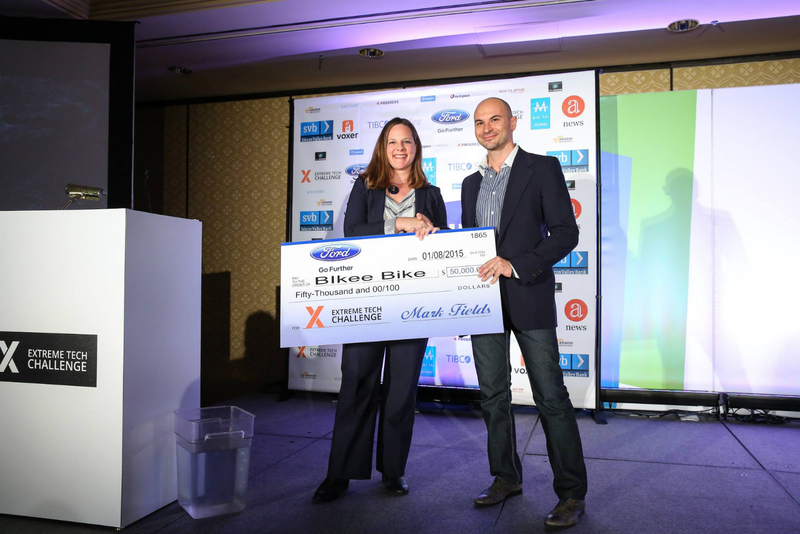 And the winner is..... Bikee Bike! It's a huge honour for us receiving such a recognition. We had the chance to chat with the Ford R&D team about our products and they were enthusiast about the technology content of Bikee Bike system. They confessed that they were really impressed about the video of the 250W BEST system hauling a van without pedaling. See the footage here. Also, we had a chance to talk with Mark Fields about what's next and whether there could be a partnership or support from their side. We are so grateful for this opportunity and we are currently in touch with their Future Mobility Manager to evaluate how to create sinergies between Bikee Bike and their ongoing and future programs. 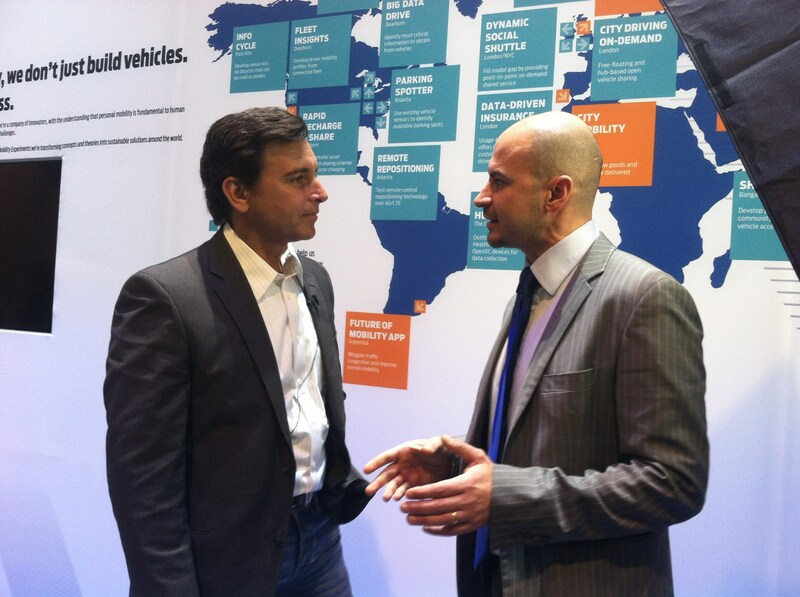 Mark Fields chatting with Bikee Bike's founder Matteo Spaggiari after the interview, at CES International, in Las Vegas. Franco Cimurri, founder of Dynalab, chose Bikee Bike drive system to present his first Revolution Bike project. A carbon fiber smart bike with embedded batteries into the frame, proximity sensors to spot nearby cars and pressure sensors on the saddle. 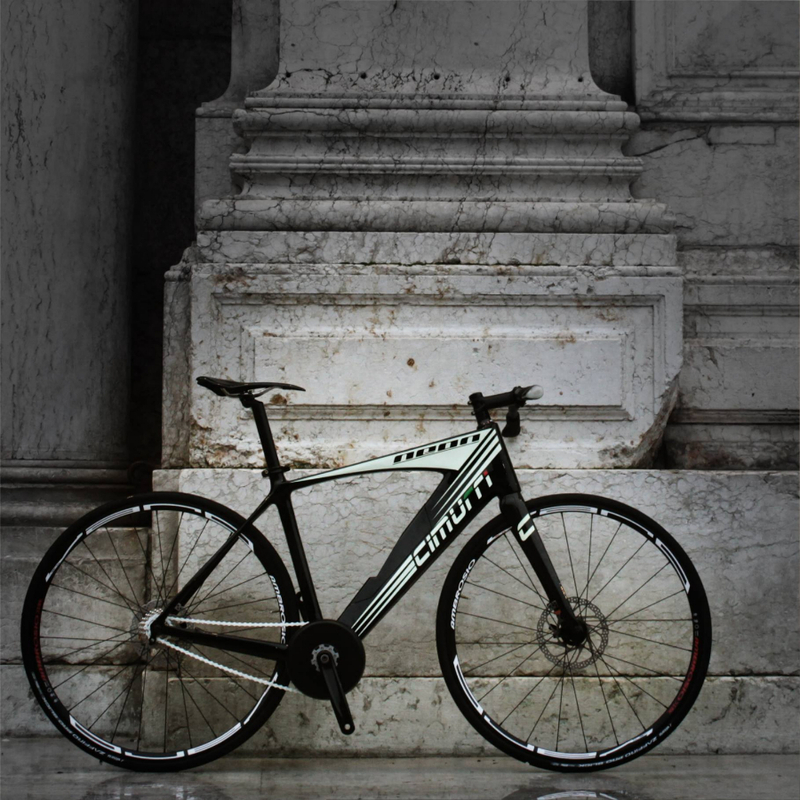 Do you want to discover more about this bike? Contact us and we'll put you in touch with Franco. Cutting edge technology: the pressure sensors on the saddle allow the rider to understand the weight distribution, and thus the effectiveness of the pedaling. That's awesome, but...what about the progress? We started hauling a van for the sake of testing the 250W version. See the impressive video! 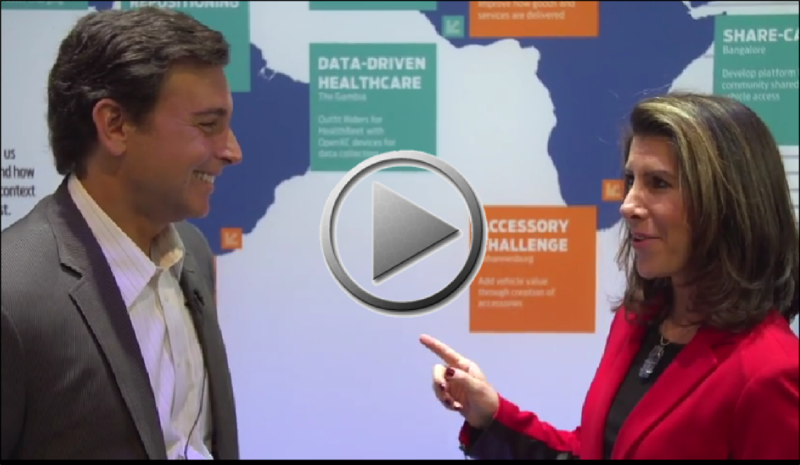 If you cannot see the embedded video, you can find it HERE. 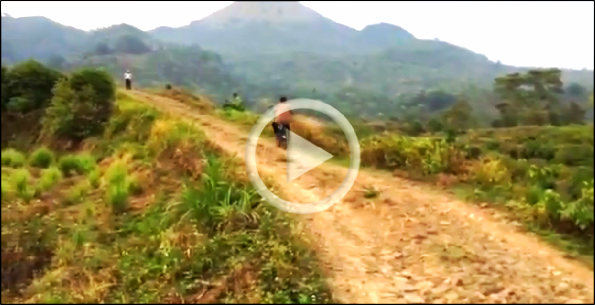 CAUTION: Don't do this at home with any other e-bike! As we finished working on the core of the system we started the design work and we'd love to hear what you think. Each newsletter we'll show you two designs and you can choose your preferred one. 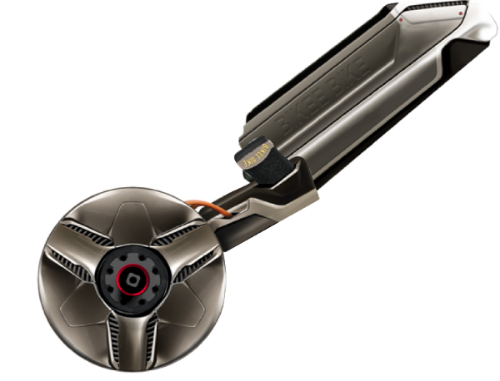 The most voted design will go to the following match, against a new design, the less voted will be discarded. That's a knockout match (or single elimination), so support your favourite work to make it the one! 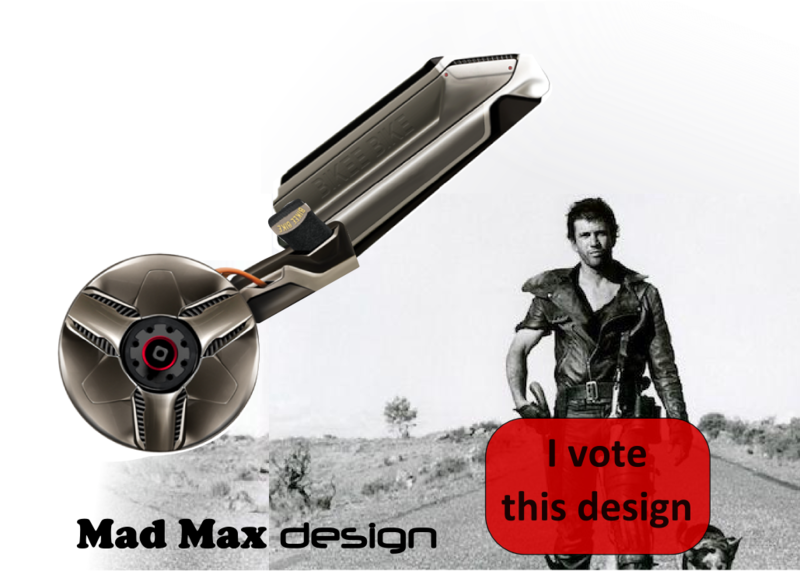 After a tough battle, you made Mad Max design won over the Naked Aluminum design in the first round. We thank you for the great contribution you gave. 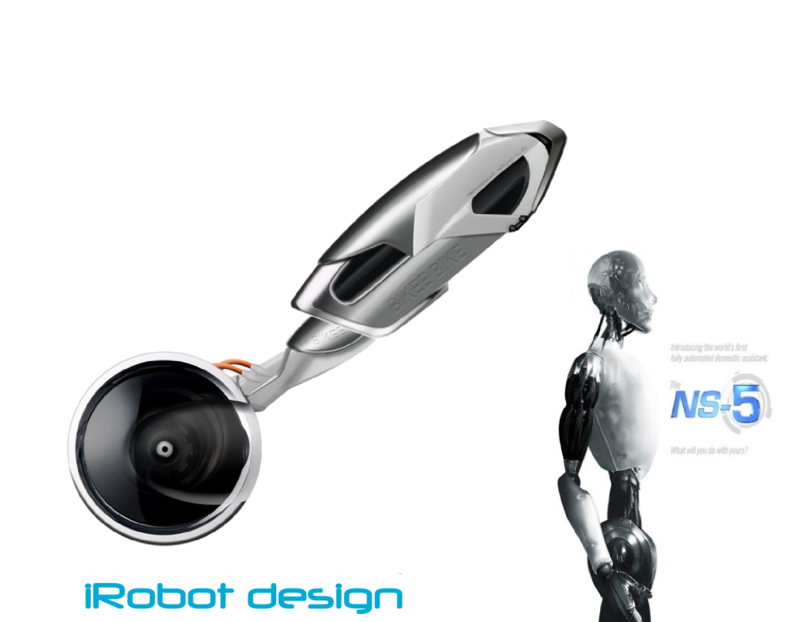 Now this design have to fight against the iRobot design. 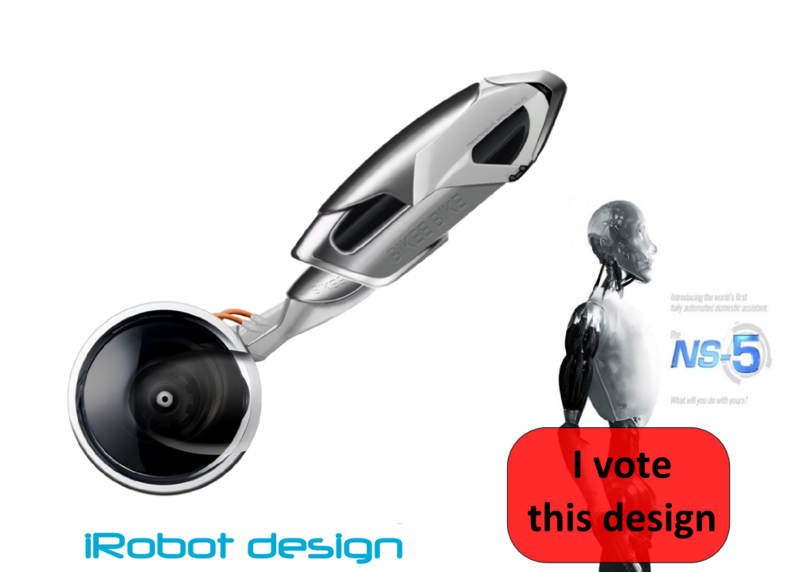 Now it's your turn to VOTE your preferred design! You pick your favourite the by clicking on your preferred design below. Be careful: by clicking on the image (everywhere) you submit your vote. A lot of good things happened in the last 60 days: we had the official product presentation ( aka Demo Day, see the next paragraph), 2 tradeshows, we made a submission for the XTC and we won it. We had to prioritize those good things and, since the amount of available time is fixed, some other things went in the backburn for a while. Kickstarter is one of those. In the next 30 days we hope we'll put down fix dates for the campaign, so we apologize with you for the delay. We decided to prioritize the Extreme Tech Challenge contest because we knew we had the opportunity to play our game, as we did. The $50,000 prize will help us to reduce both the Kickstarter campaign goal and kit price. That's because the tooling cost will be partially covered by those. Also, the visibility coming from such an achievement can attract the attention of investors, speeding up the manufacturing set-up process. We plan to start delivering the motors in October this year, but we'll need your support for that. We gave the opportunity to test the kit during the Demo Day, on November the 28th, in our new plant in Rovereto, Trento, Italy. The event went sold out almost immediately and that's why we didn't even had the chance to promote it as we wished. Test on the 25% degree slope, without pedaling, for the 750" version. Output power: 1200W. Yes, we went in Indonesia to start the first tests of the 1500W version. We went there because an e-bike manufacturer wanted to test our motor and we took advantage of that to test the kit in very harsh conditions: 35°C ( 95°F ) and 80% humidity, on a 30% slope. Average Output Power around 1200W. The rider continued till the top of the mountain. That's a mountain on which they tested all the most powerful e-bikes. None of them went "all the way through". Bikee Bike did. We have in program to start additional days for testing the BEST system. Stay tuned as we'll send you the dates through this newsletter. 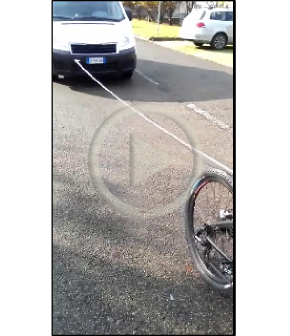 Copyright © 2015 Bikee Bike, All rights reserved. Yes, we know, it's been a while from the last time and we've been very busy, so it's time to share some exciting news! As you can see from the image on the right we just completed the build of the 750W version in naked Aluminum style. Will this be the final design? You decide! Tell us what you think about it. 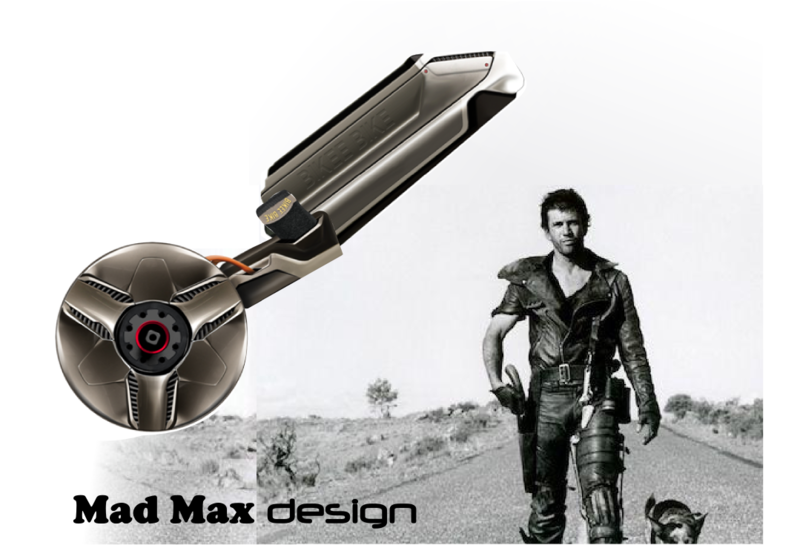 The most voted design will become the one we'll choose for the mass production. You can only vote once, but you can invite your friends to vote. 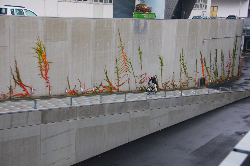 Click on the image to see how the design one looks on a variety of bikes. Let's see some action now! This video is a preview. It comes from the earliest testing on the BEST 500W version. The battery pack wasn't yet arrived and all the wiring wasn't yet completed properly. That's a fresh behind the scene of our first road tests. Enjoy! Any additional info you'd like to see? We are realizing that having a Kickstarter campaign is time consuming, and we are not sure that's the best way to go. A good campaign can absorb all our time for 3 to 6 months, and we are already a little behind our schedule. So the question is: is a Kickstarter campaign a good choice for us? On the other hand by concentrating our effort on the product development we'd be faster to ship. Thanks to the attention we are attracting from OEMs and by the reservations on our website we might be able to find the capital to launch the production. November and December will be two critical months to understand that. Also, we are opening up to investors who are aligned with Bikee Bike vision and we planned an event this month to introduce them into the Bikee Bike world. 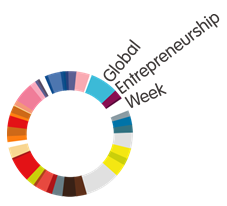 That's the Demo Day and you can find it in the following agenda. We are pushing to ship your products just in time for the next summer season: we'll keep you posted with the next newsletter. What's next?!? It's a full November! 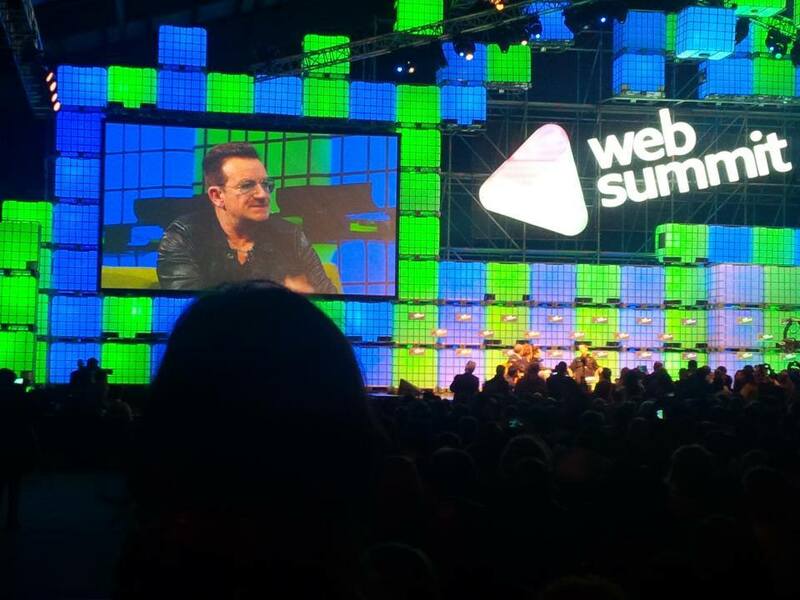 As anticipated on our Facebook Page , WebSummit is just finished. An incredible experience that brought a lot of interest towards our system. Bono Vox from U2 was there too! Bikee Bike will is invited to one of the most popular Universities in Italy to share our insights in this wonderful trip we are making together. You can book your seat here. 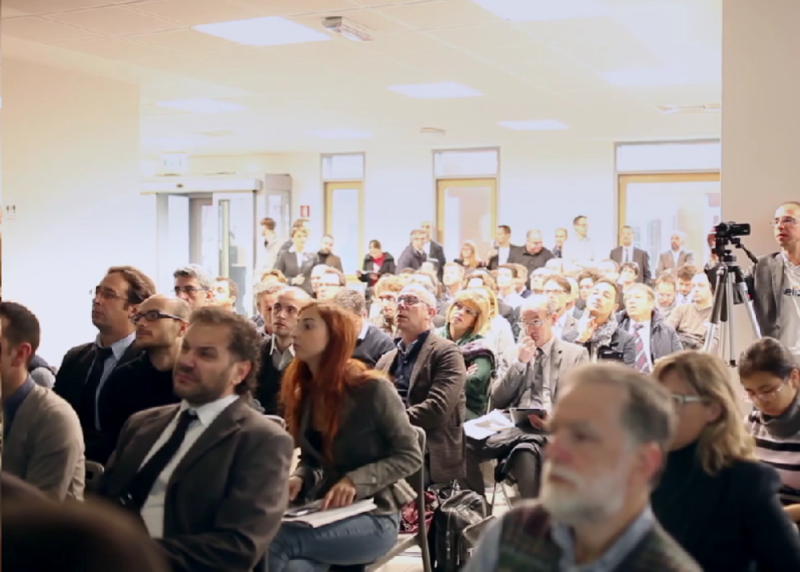 The conference will be held in Italian. We'll officially showcase our product in front of the press and journalists. You can reserve your seat here. Limited seats available. Conference will be held in Italian. Sharing is making us grow and the more we grow the faster we can ship your kit. So Thanks for Sharing! 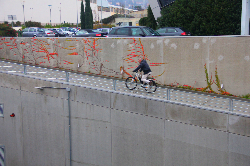 Copyright © 2014 Bikee Bike, All rights reserved. 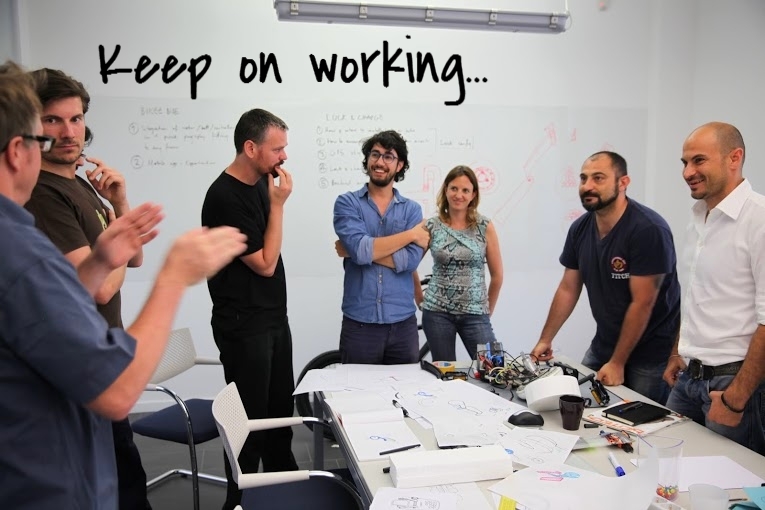 If you are receiving this newsletter it's probably because you are an Innovator, ready to adopt new technologies to improve your life, and we are working for that! We've been working really hard these months and it's been worth it. 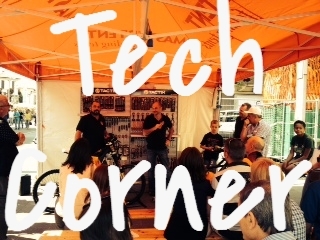 We exhibited at BikeUp in Lecco, Italy, gathering a lot of awesome feedbacks and suggestions. 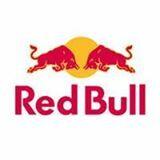 Several top news sources covered our BEST conversion kit such as RedBull , Bicilive , InSella , SportOutdoor24 , Corriere.it . Did you miss the BikeUp show and you want to give us your suggestions? You can do that by filling out our surveys and you can win your Bikee Bike BEST kit at our lucky draw! Enhance your odds to win your kit! 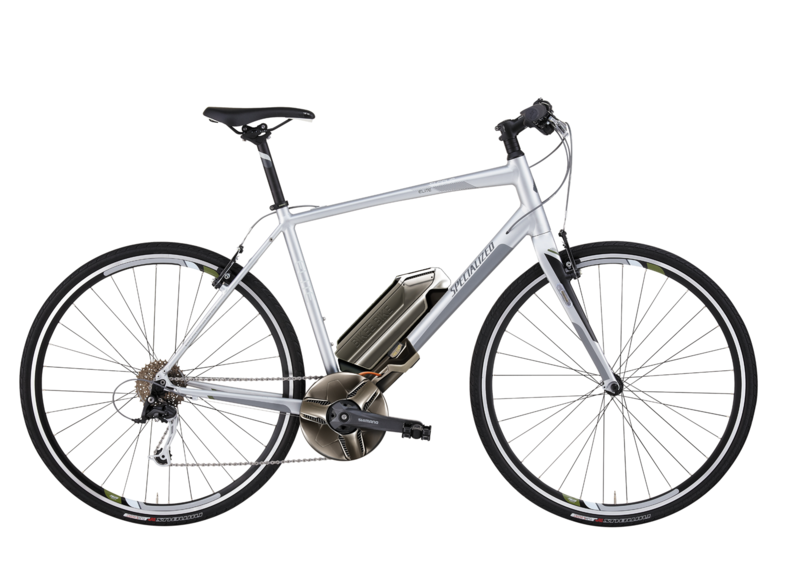 From the BikUp experience, we understood we can contribute in clarifying the concepts around e-bikes: for that reason we updated our website adding the most common e-bike terminology in our Tech section. If you want to understand more about Watt-Hours, Volts and Amperes, just go there and you'll find everything you need to know. 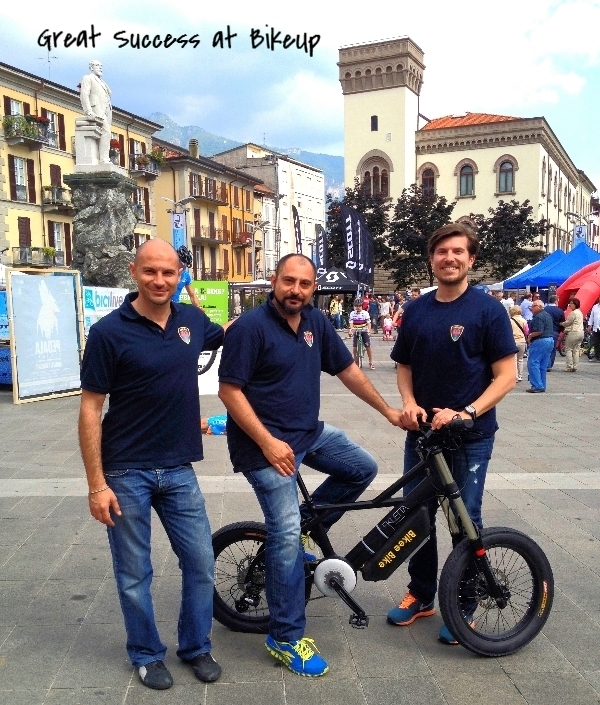 Bikee Bike Board of Directors at BikeUp, in Lecco, Italy. From the left: Matteo Spaggiari ( Founder and CEO ), Luca Spaggiari (Founder and COO), Jari Ognibeni (Board member from our parnter Industrio). The bike we installed the BEST kit on is from our friends at Ekletta. See all the pictures here. Our partners at Industrio are doing a great job in supporting us. 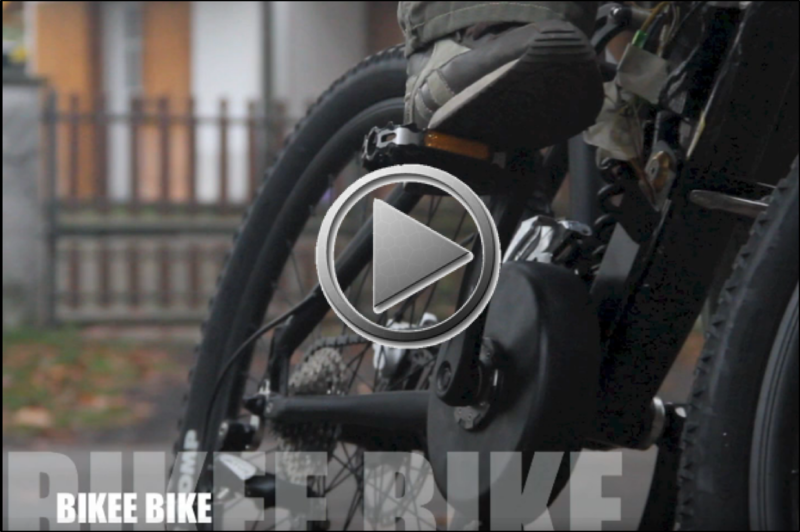 From the BikeUp we got feedback to improve the battery holder design and reduce its volume. We are working on that. 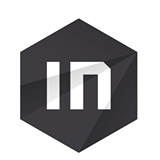 Industrio is a StartUp accelerator who believed in Bikee Bike and is now an active part of our team. The Start of Production is still forecasted for Jan 2015, but all our January batch kits are already reserved. To make sure you'll receive your kits in February 2015, you can reserve it at our reservation page here. There will only be 50 kits available in the February batch. Also you will secure your 20% discount on the retail price by reserving now. 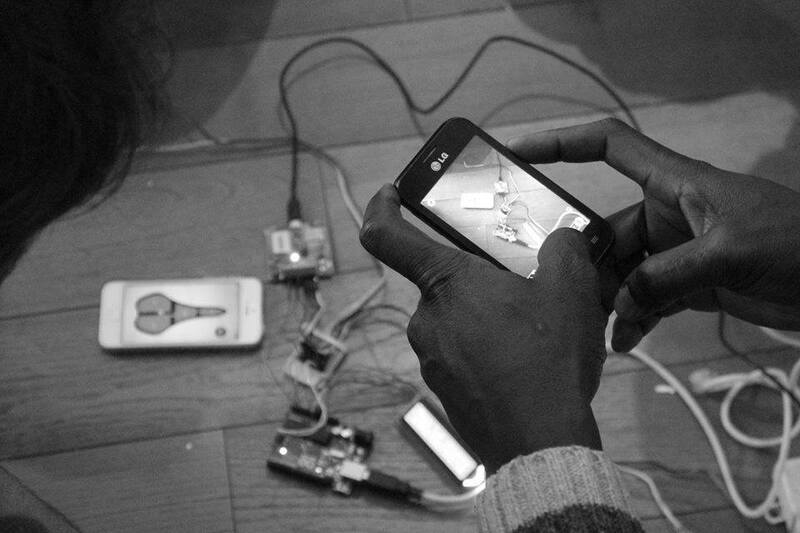 Meanwhile we'll be completing the final design, we'll post some video of our testing phase in approx two months. So stay tuned for some good action to come! By now you can check our installation video here. That's the first prototype and we are working on perfecting all the assembly procedure, but you can have a good grasp of how easy it is to install the kit onto your bike. We are planning some open days for you to test the kits in our production plant in Rovereto, TRENTO, Italy. As we are in the process to move there, we'll give you additional details about the exact date in the next newsletter release. You are welcome to send us your opinion, questions and feedback on our products. 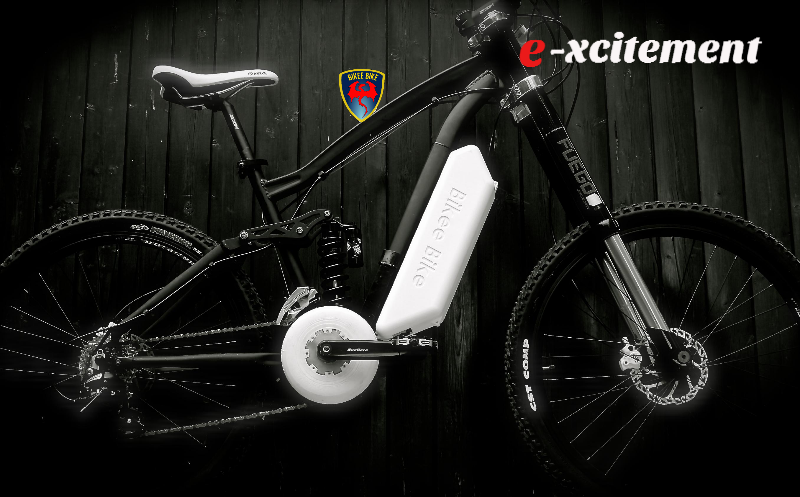 We are aiming to manufacture the best e bike experience and we value your opinion.